Author of Moving the Rock: Seven Levers WE Can Press to Transform Education, Grant Lichtman assists schools and their communities understand the ever-evolving world of education for K through 12. He helps them to harness the role of innovation, and to build comfort and capacity for change. Why should schools change? For many, that train has left the station, but some school communities still need to make the case. What will that change look like? For many, it is a transformed, student-centered “deeper learning” system that replaces a very outdated, Industrial Age, teacher-centric system. How will we make the change? We know how good organizations make successful transformation. We have to adapt this knowledge and culture for the unique real-world conditions of schools. Imagine futures that may look very different than the past. Develop an inclusive vision that represents the unique dreams and aspirations of their entire school community. Align their precious resources—people, time, money, space, and knowledge—with their unique vision in a sustainable system of action plans. Question the legacy assumptions that drive strategic plans and budgets. Bust the silos that have separated us as educator-leaders in the past. Connect to the rapidly expanding global neural network of knowledge creation and sharing. 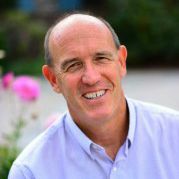 Since 2012, Grant has visited more than 125 schools and districts, published three books, written numerous articles, and worked with thousands of school and community stakeholders to develop unique and powerful visions and strategies for transforming education away from the Industrial Age and towards future-focused models of deeper learning. Grant is the author of three books: Moving the Rock: Seven Levers WE Can Press to Transform Education; #EdJourney: A Roadmap for the Future of Education; and The Falconer: What We Wish We Had Learned in School. Faculty Bios to be announced soon!